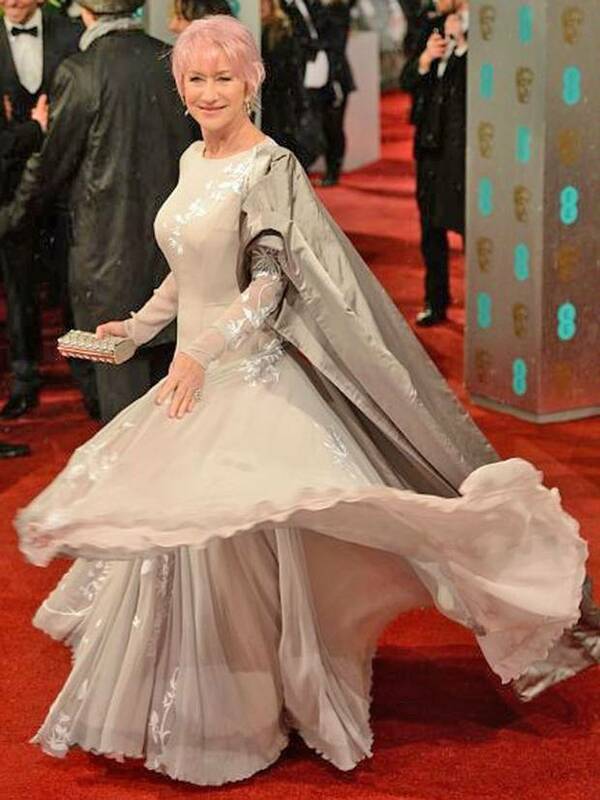 Last night, the 2013 BAFTAs took place with the attendees braving a cold and rainy red carpet before being ushered into the Royal Opera House to watch the awards unfold. Here are my top 5 looks from the evening. Jennifer Lawrence is fast becoming one of my favourite starlets on the red carpet. This strapless Dior gown is simple and elegant, perfectly accentuated with sleek hair and minimal jewellery. Anne has had a few red carpet slip ups since her pixie cut but it looks like she’s back on form. Simple, statuesque gowns suit the short her and her enviable figure and this Burberry gown looks like it was made for her. The detailing on the top half stops this gown from being just another black down on the red carpet. Sarah Jessica Parker in Elie Saab. I’m normally not a fan of trousers on the red carpet but SJP looks incredible in this Elie Saab jumpsuit. Breaking from tradition is always risky but it pays off with this flattering jumpsuit and dusting of jewels. A pop of canary yellow was just what the doctor ordered on a rainy Sunday. Marion is like a breath of fresh air in this gorgeous gown. A bold choice in more ways than one, with puffball detailing and sheer panel which make this a very quirky choice for the red carpet. Jessica Chastain in Roland Mouret. Jessica is one of my red carpet favourites, she always gets it right. The shimmering blue looks great against her luminous skintone and fiery hair. The dress itself is typical Mouret, flattering and perfect for the red carpet. Helen Mirren in Nicholas Oakwell. This is a little beauty bonus, I love Helen’s newly dyed pink ‘do which is perfectly set off by her grey Nicholas Oakwell gown.